In some parts of the world people have started preparing their spring wish-list while others have started shopping for spring. I live in Seattle, WA and right now spring seems right around the corner and that means I need to prepare my wish list. Last spring I bought this beautiful maxi dress which you can see here, so this year I am going to shop from the same site again. To start with florals is in trending like never before and I absolutely love that. 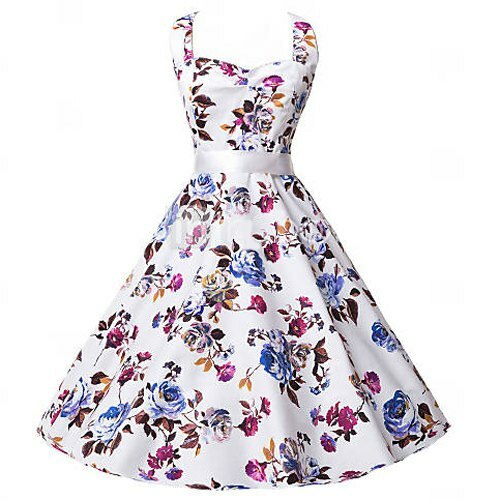 So this spring there is going to be new additions of floral dresses to my closets. I want to find them in different styles and patterns so I enjoy wearing them everyday. Let me know which one of these you like the most ! I love Skater dresses as they are comfortable and can be worn everywhere. I like the satin detailing on the waist line which adds a retro element to the dress. 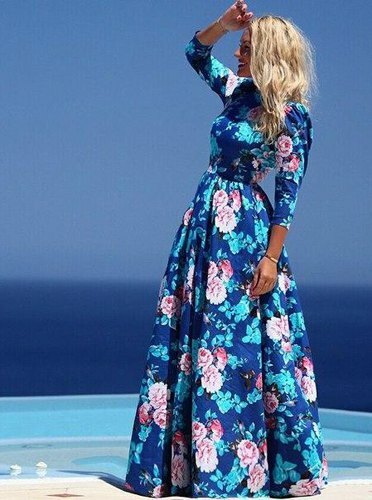 I absolutely love the the blue color of this dress and those roses are so beautiful. Seattle does get cooler during evenings so yes those sleeves will keep me warm without adding any extra layer. 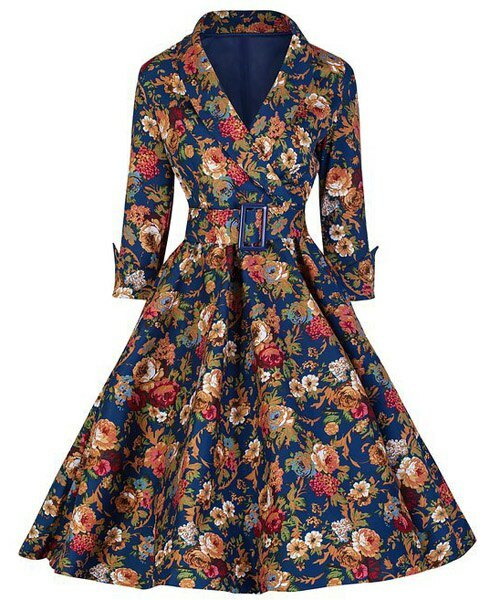 The vintage shawl style collar of this dress give it a lady like look. The belt will accentuate the waist line and the flare will cover the trouble areas. Its kind of a semi- formal dress and its best for those days where you have to attend a party after a work meeting. The bohemian mid waisted skirts with elastic are my personal favorites. Dress with down with a simple tshirt or doll up with a lace top and statement necklaces to rock a party look. Love the second dress. Have a great weekend.